Diana Mini week = Diana Mini giveaway - CLOSED! Oh yes! It's that time again! I'm celebrating one of my cameras!! You remember my holga week right? Well, this week, I am celebrating my lovely Diana Mini - with a little help - and it's going to be amazing. Admittedly, I have had my mini now for over a year, but it is only recently that I've really started to take photos with her again and I'm completely smitten with her!! I have some exciting posts coming up but what better way to celebrate than with a giveaway?! Hurray! And I have to say, this one (again) is rather amazing! 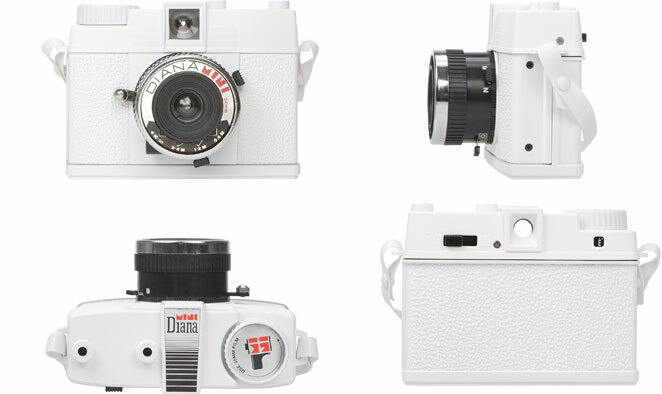 So you can win: A diana mini white from Lomography! Are you excited? I am, it such a cute camera and I love it in white too! Which camera from Lomography is your favourite? You can visit the shop here if you're stuck for ideas! ANY EMAILS SENT WILL NOT BE COUNTED AND THE COMMENTS HAVE BEEN TURNED OFF. Thank you to everyone who emailed/commented/tweeted etc... you are amazing! And a massive thank you to Lomography UK for saying yes to a giveaway! !